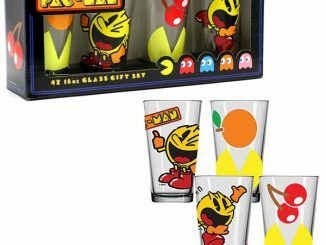 GeekAlerts has shown you some great pint glasses over the last few months, The Beatles, Atari Arcade, DC Comics Heroes, and Marvel Comics, but we thought you might need something to get you in the mood for Christmas; so we found a classic that is sure to get you ready for the big day. 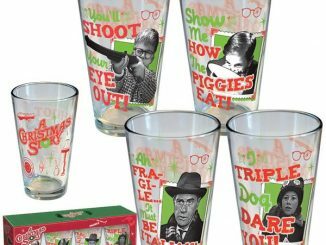 The Christmas Story Movie – Collectible Tinted Pint Bar Glasses are a great reminder of that classic movie and all the tough times Ralphie went through to try to convince Santa and his parents that a Red Ryder BB gun was the perfect gift for him. 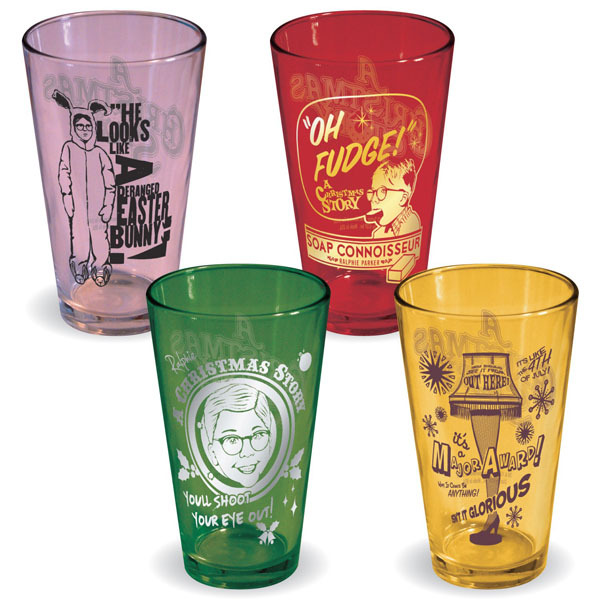 These Christmas Story pint glasses are sure to bring up some good laughs and fond memories of holidays past and present. 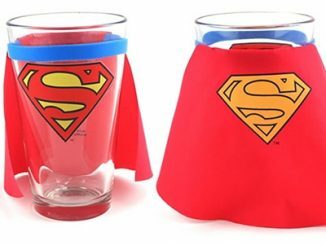 Each glass is tinted and holds 16oz of your favorite thirst quencher. 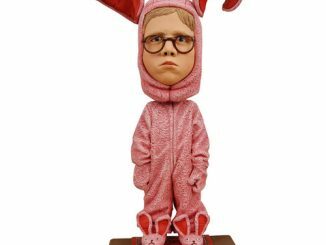 Sit back and enjoy a tall glass of eggnog as you watch Ralphie (Peter Billingsley) almost put his eye out and wear that pink Easter Bunny costume. 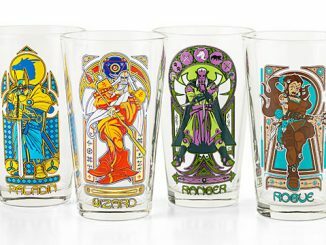 Your favorite Christmas movie now has pint glasses to go with the movie. 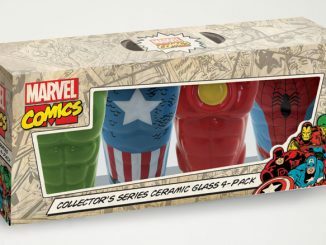 This item comes in a four pack and these pint glasses are not sold separately. 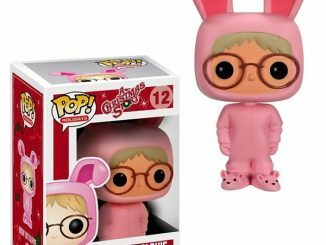 This is a licensed Christmas Story product. 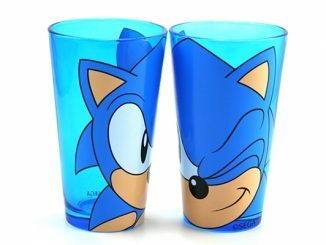 Lift your glass to a holiday classic. 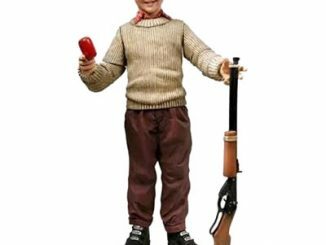 Designs inspired by the popular holiday film. 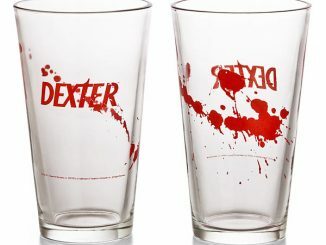 Movie logo on the reverse. 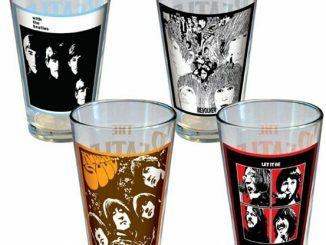 Set of 4 tinted glasses. 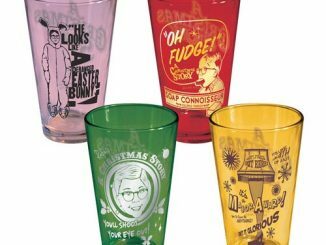 You can purchase the A Christmas Story Movie – Collectible Tinted Pint Bar Glasses (Set of 4) at Amazon.com from $28.98 and at mypartyshirt.com for $24.95.